how do i create a digimon? i dont get how i can create a digimon!? what do i click on? somebody help me!!!! Re: how do i create a digimon? Do you mean create a digimon character or actually create a digimon? 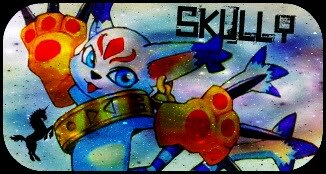 If you want to create a digimon character... Click Here! Just copy the code and paste it in a new thread in the digimon section. Then fill it out, and hope it gets accepted! If you mean to actually create a new digimon... There is no button or anything to press. There isn't, like, a virtual game to make a digimon if thats what you're thinking. XD You COULD come up with an idea, draw some pictures, think of a name and attacks... Though even if you did, I don't think you could use it as a character. XD If you didn't mean either of those things, please explain your question a bit more please? X3 Oh and if you haven't yet, please read everything in the Rules section. Um... Thats it! I hope I helped awnser your question, like I said before, if I didn't then help me understand your question a bit more!